"Let’s promote love and acceptance wherever and whenever we can..."
Jack White has called out homophobic behaviour from security at his show in Edmonton, Canada. The guitarist is touring across North America, and stopped past Edmonton venue Rogers Place last Friday (November 2nd) for a headline show. CBC News reports that a Rogers Place usher attempted to stop Allyson MacIvor - who identifies as gay - from kissing her partner. She said: "I embraced my girlfriend, and some staff member came in between us, and she said ‘This is not allowed here’... It was very violating and invasive". 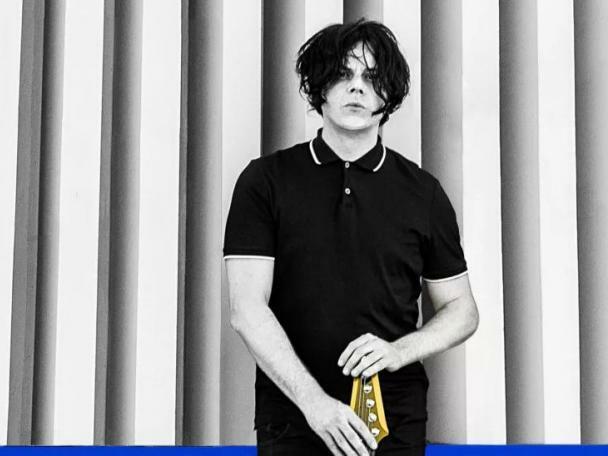 Jack White spoke about the incident onstage at his next concert, dedicating 'Love Interruption' to the couple. "This is one of my favorite photos because of how beautiful the situation is; they are hiding in plain sight. Its 2018 now and two people expressing affection shouldn’t have to hide. The news that two women were stopped from kissing during my show in Edmonton really disappointed me. At the next show in Calgary I dedicated the song 'Love Interruption' to the two women and encouraged everyone in the crowd to kiss their loved ones. Let’s promote love and acceptance wherever and whenever we can." Check out the message in full below.